Palabras clave: Adolescente, Tricobezoar, Tricofagia, Tricotilomanía. This article presents a case of Rapunzel syndrome (gastric trichobezoar with extension into the small intestine) in a female adolescent patient with mixed anxiety, depression, and obsessive-compulsive disorder. She suffered from trichotillomania secondary to family dysfunction and school bullying. At her arrival to the emergency department, she was experiencing abdominal pain, though no abdominal mass was palpated or seen on ultrasound, and her amylase and lipase levels were elevated. She developed an acute pancreatitis which required laparotomy. In addition to the case report, a review of the available literature on the subject is presented. 1. American Psychiatry Association. Manual diagnóstico y estadístico de los trastornos mentales. 5ta ed. Buenos	Aires: Editorial Médica Panamericana; 2014. P 251-7. 2. Chamberlain SR, Odlaug BL, Boulougouris V, Fineberg NA, Grant JE. Trichotillomania: Neurobiology and treatment. Neurosci Biobehav Rev 2009;33:831-42. 87. Morinville VD, Husain SZ, Bai H, Barth B, Alhosh R, Durie PR. Definitions of Pediatric Pancreatitis and Survey of Present Clinical Practices. JPGN 2012;55:261-5. 88. Christa D. Labouliere MA, Storch EA. Pediatric Trichotillomania: Clinical Presentation, Treatment, and Implications for Nursing Professionals. 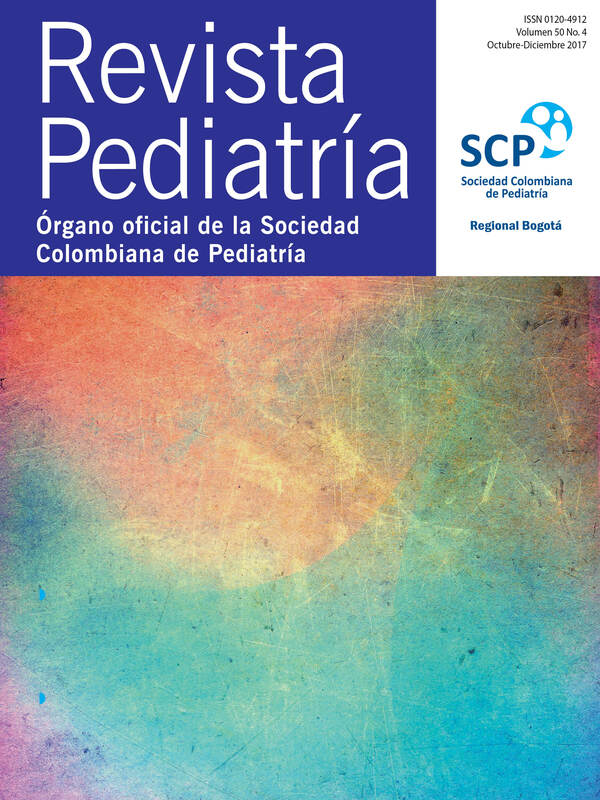 J Pediatr Nurs 2012; 27:225-32. 89. Lewin AB, Piacentini J, Flessner CA, Woods DW, Franklin ME, Keuthen NJ et al cols. Depression, anxiety, and functional impairment in children with trichotillomania. Depression and Anxiety 2009; 26:521-7. 90. Keuthen NJ, Fama J, Altenburger EM, Allen A, Raff A, Pauls D. Family environment in adolescent trichotillomania. J Obsessive-Compulsive Related Disorders 2013; 2:366-74. 91. Flessner CA, Knopik VS, McGeary J. Hair pulling disorder (trichotillomania): Genes, neurobiology, and a model for understanding impulsivity and compulsivity. Psychiatr Res 2012;199:151-8. 92. Oliver G, Dean O, Camfield D, Blair-West S, Ng C, Berk M et al cols. N-Acetyl Cysteine in the Treatment of Obsessive Compulsive and Related Disorders: A Systematic Review. Clin Psychopharmacol Neurosci 2015;13(1):12-24. 93. Mansueto CS, Goldfinger Golomb R, Mc Combs A, Townsley Stemberger T, Townsley Stemberger R. A Comprehensive Model for Behavioral Treatment of Trichotillomania. Cogn Behavi Pract 1999;6:23-43. 94. Schumer, BA, Panza KE, Mulqueen JM, Jakubovski E, Bloch MH. Long-Term Outcome in Pediatric Trichotillomania. Depress Anxiety 2015;32(10):737-43. 95. McGuire JF, Ung D, Selles RR, Rahman O, Lewin AB, Murphy TK, Storch EA. Treating Trichotillomania: A Meta-Analysis of Treatment Effects and Moderators for Behavior Therapy and Serotonin Reuptake Inhibitors. J Psychiatr Res 2014;0:76–83. 96. Rothbart R, Amos T, Siegfried N, Ipser JC, Fineberg N, Chamberlain SR, Stein DJ. Pharmacotherapy for trichotillomania. Cochrane Database of Syst Rev 2013;11: CD007662. DOI: 10.1002/14651858.CD007662.pub2. 97. Morris SH, Kratz HE, Burke D, Zickgraf HF, Coogan C, Woods D. Behavior therapy for pediatric trichotillomania: Rationale and methods for a randomized controlled trial. J Obsessive-Compulsive Related Disorders 2016;9:116-24. 98. Lochner C, Roos A, Stein DJ. Excoriation (skin-picking) disorder: a systematic review of treatment options. Neuropsychiatr Dis Treat 2017:13 1867-72. 99. Wetterneck CT, Woods DW, Norberg MM, Begotka AM. The social and economic impact of trichotillomania: results from two nonreferred samples. Behav Intervent 2006;21:97-109. 100. Gawłowska-Sawosz M, Wolski M, Kamiński A, Albrecht P, Wolańczyk T. Trichotillomania and trichophagia – diagnosis, treatment, prevention. The attempt to establish guidelines of treatment in Poland. Psychiatr Pol 2016;50(1): 127-43.